A powerful crime syndicate wants him dead. The FBI wants him behind bars. 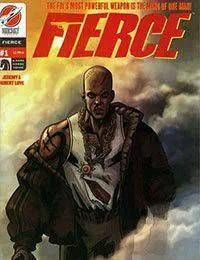 Jonathan Fierce, psychic profiler for the FBI, is on the run and his only allies are the voices of his slain comrades, the elite strike force known as the Razor. Channeling the special abilities of his former teammates, he will descend into the depths of the Jamaican underworld on a mission of redemption and vengeance.